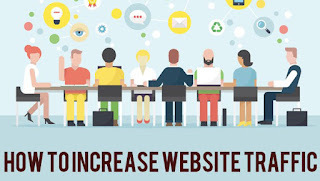 Do you want more people to read your website or blog, but are unsure how to go about doing it? Being a great writer is half the battle. But if you want your blog to be successful, you should know some basic digital marketing tricks to help promote it. So what are you waiting for? Consider using these 6 simple digital marketing tricks below to increase your website and blog’s readership now! Don’t have a lot of social media followers? Don’t worry! Get a social media influencer to share/retweet your post to exponentially expand your audience. Influencers are active on social media and have many followers. The best way to get an influencer to share your post is to include them in the article. I experienced this firsthand when British comedian Ricky Gervais retweeted my tweet – which was a link to my blog post covering his social media activity – to his millions of twitter followers. That single retweet by Gervais flooded my website with traffic. Yes! You should always strive to create content that will rank high in popular search engines like Google. Getting ranked in the search engines takes time, but doing so will provide your blog with a steady stream of traffic in the long run. You don’t need to be an SEO specialist to create search-friendly content. Just keep your blog post’s subject matter specific, not general, to avoid competition with major content-producing websites. If people are not reading your blog posts, chance are it’s because your headlines are weak. Having attention-grabbing headlines is especially important if you’re promoting your blog through email and social media marketing. - Add a number to your headline, which indicates a listicle is coming. - Start your headline with one of the 5 Ws (“when”, “which”, “what”, “where” and “who”) or “how”. If you have the resources, social media advertising is a very effective way to immediately expand your blog’s reach. Unlike traditional forms of advertising, advertising on social networks like Facebook and Twitter is relatively cheap. You can also target your advertising to a reach a particular demographic group (e.g. men in London, etc.). Passionate about something in the news that’s relevant to your blog? Then be sure to highlight your unique opinion and perspective. If your post is well-presented – and possibly controversial – then it should be able to generate comments, especially if you promote your post on facebook or in other social media sites. How-to posts are the bread and butter of blogging and should be a part of your blog’s content mix. A good how-to post will answer your readers’ questions while also positioning you as a leader in your field. Though how-to posts aren’t as effective as they once were, I like them for their utility. For example, how-to posts are easier to transform into different content forms, such as SlideShare, ebooks, videos, infographics, images, quotes, tips, podcasts… the list goes on! John Gilson - Author - Thanks for this great article!